The event is free and open to the public. No registration is necessary. Refreshments will be served. We invite you to join us Thursday, April 10th, for a conversation with Ambassador Tommy Koh of Singapore, the recipient of the 2014 Great Negotiator Award. This public program will feature panel discussions with Ambassador Koh and faculty from the Program on Negotiation and the Future of Diplomacy Project. 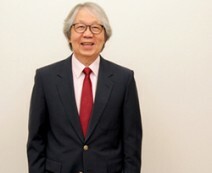 Ambassador Tommy Koh is currently the Ambassador-At-Large at the Ministry of Foreign Affairs for Singapore; Director, Institute of Policy Studies; and Chairman of the National Heritage Board. He is also Chairman of the Chinese Heritage Centre.